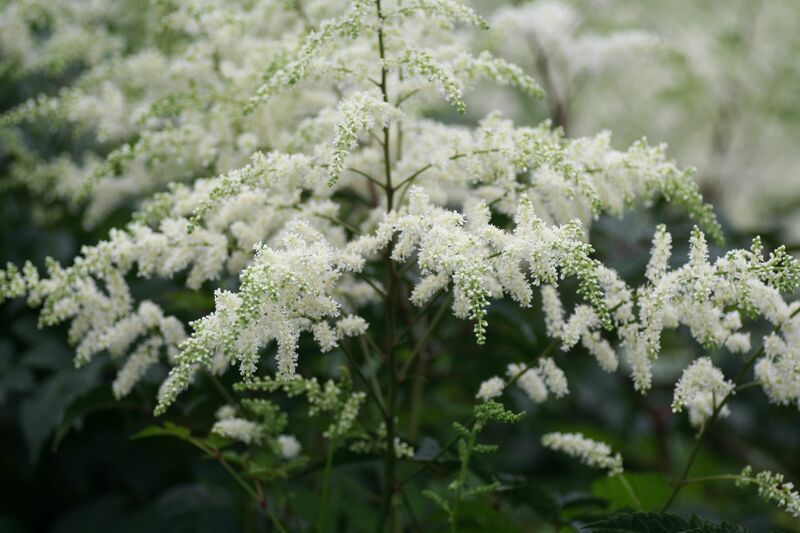 White flower panicles in July on this beautiful compact plant. Flowers are good for cutting and drying. Astilbe will grow in full shade but plants will not flower as much. Light shade is best and needs consistent water especially in sun.